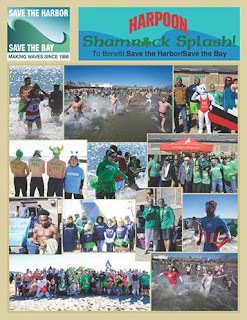 The 7th annual Harpoon Shamrock Splash to benefit Save the Harbor/Save the Bay will be held on Sunday, March 11, 2018, at the BCYF Curley Community Center at M Street Beach in South Boston. With your help this year we will raise more than $50,000 to support free beach events and programs on the region’s public beaches from Nahant to Nantasket! Follow this link to find out more about the free Better Beaches programs and events we supported in 2017. For just $25, you can enjoy refreshing Harpoon beer, tasty treats, a terrific beach party and the warm feeling you get when you give back to your community. You will also have a chance to win round trip flights from JetBlue, terrific swag from Harpoon and other great prizes for best costume and biggest fundraiser. 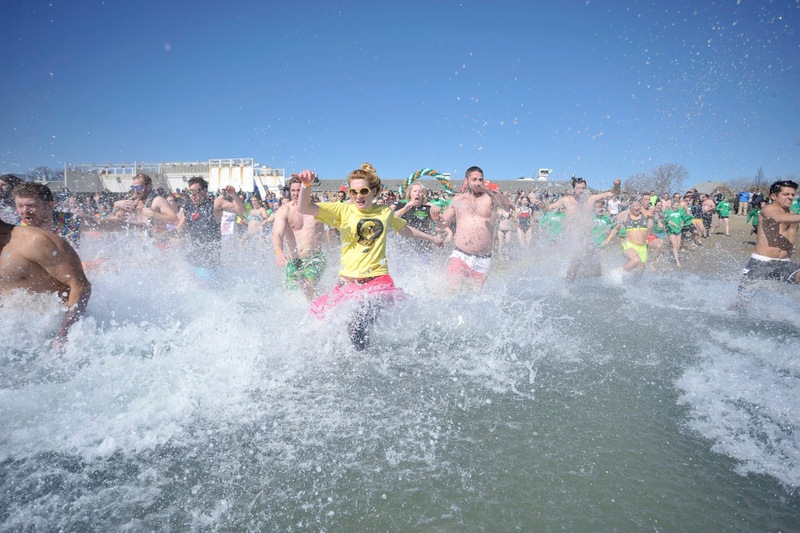 The Harpoon Shamrock Splash to benefit Save the Harbor/Save the Bay began in 2011 in partnership with Harpoon Brewery and JetBlue as a fundraiser for beach lovers to plunge into cold water and raise money for their beaches. In 2017, the Harpoon Shamrock Splash raised more than $55,000 to support nearly 100 free concerts, beach festivals, sand raking competitions, and circus performances in Lynn, Nahant, Revere, Winthrop, East Boston, South Boston, Dorchester, Quincy and Hull. So help us crush last year's record and raise $60,000 to support free events and programs on the region's public beaches this year. Start a team, invite your friends to join you, and help us make a big splash on the beach in 2018. Thanks to our event sponsors at Harpoon Brewery, JetBlue, Mix 104.1, B. Good, L.L. Bean and the Blue Sky Collaborative, and to our Better Beaches Program Funding Partners at The Boston Foundation, The Harold Whitworth Pierce Charitable Trust, the Richard Saltonstall Foundation, National Grid and Comcast. Thanks as well to the Massachusetts Legislature, the Baker-Polito Administration and the Metropolitan Beaches Commission for their support for our beaches, and to our partners at the Department of Conservation and Recreation, the Boston Centers for Youth and Families and the Greater Boston YMCA for their support. So register today at www.shamrocksplash.org. Sure, you will be cold for a few minutes but the warm feeling you will get from taking part in this great event will last all year long. We can’t wait to see you on the beach on March 11th. As the region’s leading voice for clean water and continued public investment in Boston Harbor, the region's public beaches, and the Boston Harbor Islands, Save the Harbor/Save the Bay’s mission is to restore and protect Boston Harbor, Massachusetts Bay and the marine environment and share them with the public for everyone to enjoy. For more information about Save the Harbor/Save the Bay and the work we do, please visit our website at www.savehtheharbor.org, our blog “Sea, Sand & Sky” at blog.savetheharbor.org, or follow savetheharbor on Facebook, Twitter, and Instagram. *Although the fun is unlimited, some restrictions apply. See the event site for details. Save the Harbor is seeking a Youth Programs Coordinator to join our hard-working 7-member team to coordinate our youth and family programs and expand outreach to help us “Share the Harbor” with underserved youth and families from across the City of Boston and around the region. Our free youth and family programs have made Save the Harbor the Boston Harbor Connection for youth and families in Lynn, Nahant, Revere, Winthrop, East Boston, South Boston, Dorchester, Quincy and Hull, helping to create a generation of Boston Harbor stewards who truly understand the value of our spectacular urban natural resources to them and their communities. · Recruit, schedule and assist in the management of our 34-person summer program staff, including 6 Senior Harbor Educator, 5 college-age Lead Harbor Explorers, 20 high school Junior Program Assistants, and program consultants including our Harbor Historian and Artist in Residence. · Assist with the mentorship of 20 high school Junior Program Assistants. · Work with 120 youth development and community organizations to recruit for and coordinate our free summer Youth Environmental Education Programs, including 28 free All Access Boston Harbor cruises to the Boston Harbor Islands, and our Boston Harbor Explorers program which runs at 12 program sites including the region’s youth sailing centers, The Boston Children’s Museum, and Camp Harbor View. · Connect with new partners to expand the reach of our free programs throughout the region. · Play an important role in the development of enrichment and training opportunities for our summer staff as part of our Youth Jobs and Leadership Development Program. · Assist Communication and other Program staff to create program materials, newsletter articles, press releases and blog posts. · Continually evaluate and improve our programs. · The Youth Programs Coordinator is a member of our core staff, and will also take on additional responsibilities and collaborate with other staff on events and projects such as our annual fundraising events the Shamrock Splash and Destination Boston Harbor, program events like the annual Beach Bash and Splash in South Boston as well as free weekend harbor cruises, volunteer service days and other essential organizational operations. Our ideal candidate will have great enthusiasm for teaching, youth development and mentorship, and a passion for sharing the natural and marine environment with students of all ages – particularly teenagers. Candidate should be able to demonstrate 1-2 years’ experience with youth programs, team management, teaching or coaching, and coordinating a young and diverse staff. Our programs focus heavily on environmental and outdoor education, so background or experience with sailing, swimming, fishing, lobstering, beachcombing, marine science, environmental studies or other outdoor activities is a plus. Because of the nature of our programs ideal candidates should be comfortable on, in and around the water, as well as getting your hands dirty teaching youth and teens to explore the marine environment, catch fish, crabs and other critters. A positive, outgoing, enthusiastic attitude, along with flexibility, creativity, spontaneity and the ability to take a strong leadership position, will serve this position extremely well. Ultimately, our goal is to share our mission, passion and enthusiasm for our work and the Harbor with the kids and communities we serve. · Convenes and leads our Beaches Science Advisory Committee, which led the effort to transform the South Boston beaches into the cleanest urban beaches in America and is working to improve water quality at King’s Beach in Lynn and Swampscott and Tenean Beach in Dorchester. 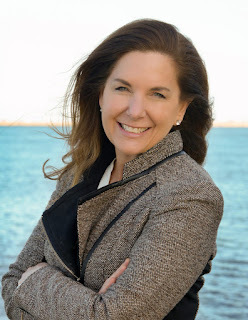 · Leads and manages the Metropolitan Beaches Commission for the Massachusetts Legislature, charged with improving the Boston Harbor Region’s public beaches from Nahant on the North Shore to Nantasket on the South Shore. 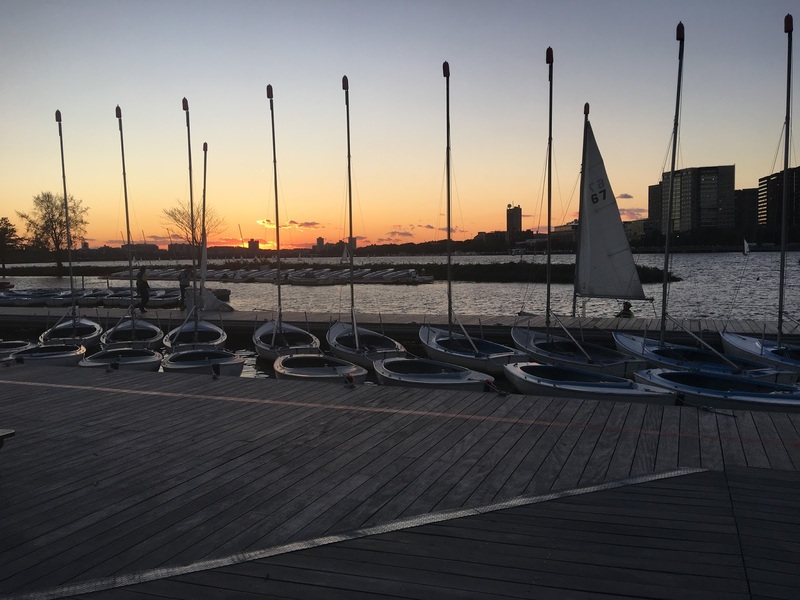 · Strengthens Boston’s waterfront neighborhoods and the region’s beachfront communities by hosting and sponsoring 484 free Better Beaches events and programs on the region’s public beaches from Nahant to Nantasket since 2008. · Is the Boston Harbor Connection for the region’s underserved and low-income youth and their families, with free Youth Environmental Education Programs that have introduced more than 190,000 underserved and low-income young people to the spectacular harbor we have worked so hard to restore and protect since we began them in 2002. To apply for this position, please email your resume and a cover letter to hr@savetheharbor.org by March 16th, 2018. My name is Kayla Hammersley and I am the new Policy intern here at Save the Harbor/ Save the Bay. Being from Rhode Island means that Del’s is a summer “must have”, that the Big Blue Bug is not only a mascot for a pest control company but for the state itself, that everyone literally knows everyone, and that we always have a wicked good time. Another thing that all Rhode Islanders understand is that the beach is the hottest spot to be on any given day. Being from the Ocean State has influenced myself in many different ways and has furthered my love for all things “beach”. I currently educate myself at Lasell College with a major in Environmental Studies supplemented with a minor in Business. Most people say don’t mix business with pleasure but I couldn’t resist myself when I first came onto the Lasell Campus. Not only did I immerse myself in my major but I did so also in the culture of the campus as well. From welcoming freshmen onto campus as a peer mentor/advisor and being the President of Random Acts of Kindness Club, I have dipped my toes into various activities that were offered my way. I even dabbled with Lasell Environmental Action Force (LEAF) club collecting water samples and implementing water bottle filling stations on campus as well as enjoying the great outdoors with the Outdoor Adventure Club. 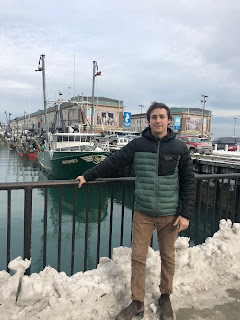 Now I was excited to start applying what I learned in the classroom to an actual organization, so when I found the internship with Save the Harbor/ Save the Bay, I thought this would be the perfect opportunity to work with a group of like minded individuals helping to make a difference and helping protect the ocean we all love. This is also a great opportunity to use the materials taught in my classes and expanding my understanding of how those lessons are applied in organizations. I am so excited to have the opportunity to use the culmination of my studies at school during my last semester to provide support to an organization like Save the Harbor/Save the Bay. Hi everybody! Not only am I looking forward to working with all of you, but super pumped for the great sunset pics. Partly kidding, but who isn’t a sucker for a great view? I could start this off by telling you all my basic information, but I figured why not start off with an embarrassing, but memorable, story about a summer at the beach. I figured we can always laugh at somebody’s embarrassing childhood memories. My love for the ocean, and the beach started at a young age. Luckily, I have family in Virginia, so majority of my summers have been spent at Virginia Beach. One day, 10/11-year-old me decided that man it would be a great day to feed some seagulls from our balcony. So, I did thinking I was doing a good deed, and well you know that scene from the first Jurassic Park II: The Lost World, where the little girl feeds the baby dinosaurs pieces of her sandwich? That turned out to become a reality for me, as seagulls started to swarm, and the best part was I locked myself out. Still traumatized by the experience, but makes for a great story. Flash forward to today, I am a Communication/Public Relations intern here, of course I learned my lesson, and no longer fed seagulls. I moved to Boston about three years ago, from Saratoga, NY, and if you talk to anybody from NY we typically don’t tend to leave but I had enough of the horse races, cliff jumping, and just the dullness of NY. 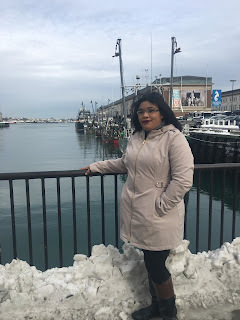 I am currently studying at Suffolk University, and will be graduating in the fall of 2018 (yayy). Freshman year I joined a sorority on campus called Theta Phi Alpha, and over the past almost four years my sorority sisters have helped make Boston my home. Plus I needed change, since I grew up with three older brothers, and am the only girl. I first heard about Save the Harbor, Save the Bay when I started working at Community Boating Inc in the spring of 2016. 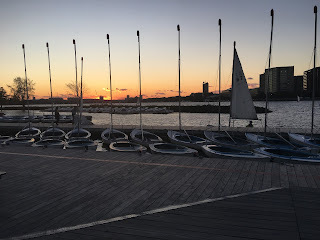 Besides learning how to sail, learning 17 sailing knots (...impressive I know) CBI has helped me realize my passion for nonprofits, especially those that I feel I can connect with, and are actively involved in my community. Over the past few years, I have been able to get a lot of hands on experience with event planning/event coordinating, as well as more on the marketing, graphic design, and media planning side. My hope is to expand on those skills, as well as use them here as well! Cheers, and look forward to working with all of you for the next few months! My name is Anil Gurcan, and I was born in Ankara, the capital of Turkey. Ankara is inland city surrounded by mountains with no body of water. Coming from an inland city with no access to water I have always been drawn to cities with waterfronts. Growing up I spent my summers in Izmir, a coastal city on the west coast of Turkey, where I learned to appreciate the harbor and having a body of water nearby. It is in Izmir, getting on to ferries to cross the harbor, hanging out in parks with the smell of the sea that I grew to like being near the water. That is why I fell in love with Boston when I first arrived 22 years ago. Being near the water is good but having it clean and accessible is very important. I feel that in Boston we don’t always think about the harbor. While the Charles River is always prominent, Boston Harbor seems to get lost in the sea of buildings in downtown. Even when I went to UMass Boston as an undergraduate, I rarely remember seeing the ocean. I learned a great deal about cleanup efforts of rivers in various American cities by working in collaboration with Charles River Conservancy (CRC) during the Spring 2017 semester. As a part of a class project, we created a report highlighting six urban river initiatives in the United States. During the process, I also learned about the history of Charles River and how it used to have public beaches in the 1930s. Through the efforts of many organizations like the Charles River Conservancy, the old dirty water is swimmable again and is the cleanest urban river in the United States. Non-profits like CRC and Save the Harbor/Save the Bay play an important role by being advocates for a clean water and clean environment. 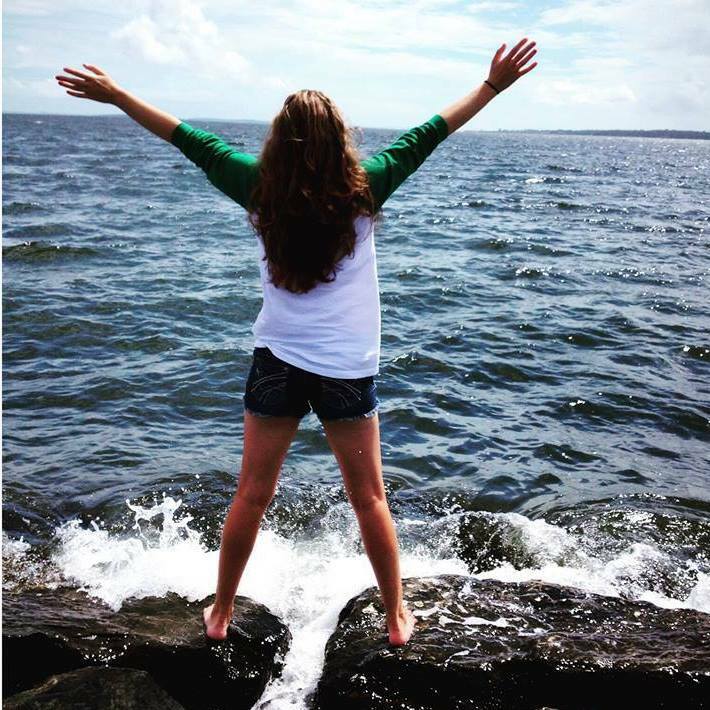 By being an intern at Save the Harbor/Save the Bay I would like further my education on being a change agent and make a difference. During our research on urban rivers we found that the advocacy groups and non-profits were key to creating clean up initiatives in the cities we studied. They were critical in moving the government agencies in a direction towards the cleanup efforts. In the past I worked in an academic setting, in a small business, and in a large corporation, and I can say my experience is a little different than my peers in my program and I can easily adapt to different work environments. In my time at the Tufts Urban and Environmental Planning and Policy Program I’ve learned a great deal research, policy, and analysis. Additional course work on Non-Profit Finance, Philanthropy and Fundraising, and Negotiation and Conflict Resolution prepared me for the type of work that maybe necessary in non-profits. I am eager to further my education and learn more about non-profits as well as environmental advocacy and hope that working at Save the Harbor/ Save the Bay will give me that opportunity. Hey all! 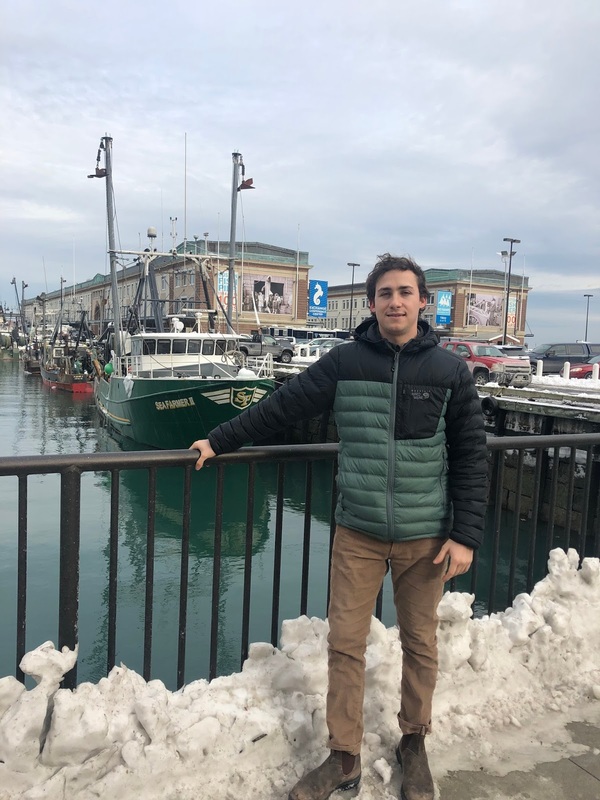 My name is Jules Stuber, a new development intern here at Save the Harbor/Save the Bay. I am a graduate of the University of Vermont, where I majored in community development and minored in environmental studies. As a surfer, fisherman, and lover of fish tacos, I have a special place in my heart for ensuring the sustainability of our waterways and can’t wait to dive in with this great organization. Over the recent summer, I worked for a nonprofit called Island Grown Initiative, a food sustainability advocacy and education group located on my hometown of Martha’s Vineyard. While working with IGI, I spearheaded our composting and gleaning programs, and started a shell recycling program. This stint in the nonprofit world cemented my resolve to work within and for communities here in New England. Growing up with a fishing crazed father who would strap my twin and me as babies to his waders, and a mom who loved to take us down to catch crabs and periwinkles among the tide pools, I was instilled early on with a healthy respect for the ocean. Thinking back, all of my fondest memories involve the ocean in some way- catching the perfect wave, releasing the first keeper sized striper of the season, or just sitting back and watching the shimmering pink summer sun set over calm water. 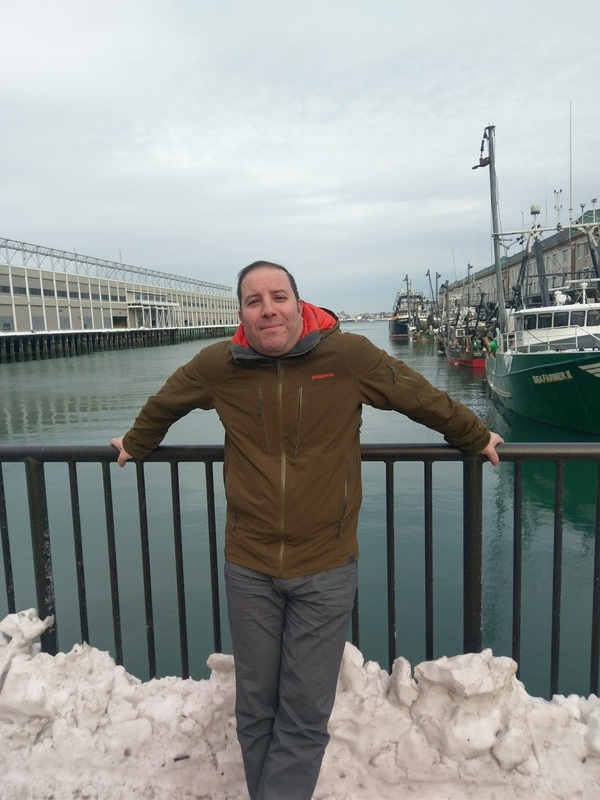 It is this affinity for the sea that has made me want to ensure its well-being for future generations, and I can’t wait to work together with the save the harbor and their youth programs here in Boston. While it is only my first day here at Save the Harbor, I am already very excited to start fundraising and doing grant research with Trevor and Chris for the new Feast of the Seven Fishes Project. I can’t wait to become more involved with the organization, and look forward to what my next few months here entail!